Ableforth's Bathtub Gin NV is a popular Gin available from TheDrinkShop in 70cl to buy online. Visit TheDrinkShop for the best price for 70cl of Ableforth's Bathtub Gin NV or compare prices on our other Gin products. Back in 2011, Professor Cornelius Ampleforth fulfilled a lifelong ambition when he released his extraordinary Bathtub Gin. Produced in small batches using a traditional method called cold compounding, with botanicals such as juniper, coriander, clove, cinnamon, orange peel and cardamom being left to infuse in high quality pot-distilled grain spirit. The botanicals lend a tint to the final spirit as well as wonderfully clean, fresh flavour and the finished product is packaged in a way worthy of any Victorian apothecary; it's wrapped in brown paper and string, then wax-sealed by hand. Where to buy Ableforth's Bathtub Gin NV ? Ableforth's Bathtub Gin NV Supermarkets & Stockists. 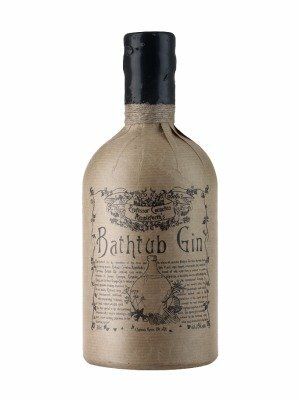 You can buy Ableforth's Bathtub Gin NV online in most retailers and find it in the Gin aisle in supermarkets but we found the best deals online for Ableforth's Bathtub Gin NV in TheDrinkShop, 31dover.com, DrinkSupermarket.com, and others. Compare the current price of Ableforth's Bathtub Gin NV in 70cl size in the table of offers below. Simply click on the button to order Ableforth's Bathtub Gin NV online now.